In 2006, the vacant school building site at 11341-12 Avenue in Twin brooks was approved by City Council for development into townhomes under the City's First Place Program. The new townhomes will only be developed on the 0.8 ha of land that was previously set aside for a Catholic elementary school building. The remaining 6.57 ha of open space surrounding the housing development will be retained by the City and continue to serve sports, recreation and community uses as identified in the original neighbourhood structure plan. Construction of the First Place townhomes in Twin Brooks is set to start in July 2018. Construction of the new townhomes will be completed in accordance with the outcome of the Community Design Engagement Process conducted in the Spring-Summer of 2017. For detailed information on status of the development process, including safety guidelines and who to contact if you have questions or concerns, please visit the Landmark Homes Twin Brooks First Place website. If you are interested in purchasing one of the homes, please contact the builder, Landmark Homes, directly for more information on pricing and eligibility requirements. Users of the affected Twin Brooks sports fields on site have been advised of the changes underway and are being accommodated on other sports fields. 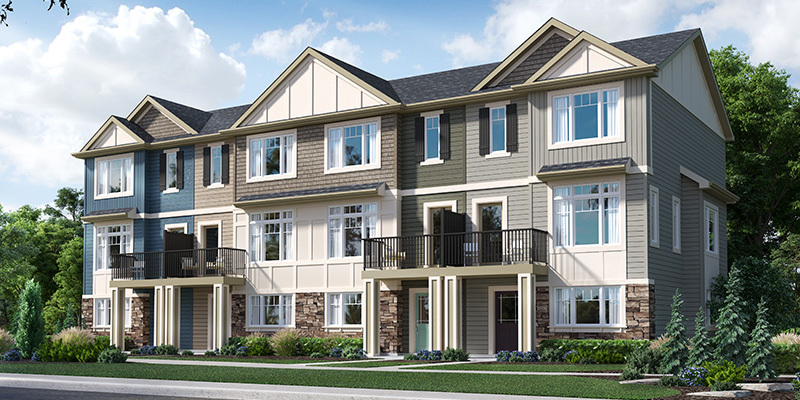 While the decision to build townhomes has already been approved by Council, seven community members were selected through an open application process held in December 2016 to work with the builder to help design the new homes and ensure they are a good fit with the surrounding neighbourhood. This includes providing input on design elements, such as building orientation, number of homes, massing and rooflines, site access, vistas, and exterior home design details and landscaping. The design engagement process began in March 2017. Updates, including meeting minutes and design options under consideration, will be posted following each design engagement meeting. The City will also be preparing a “What We Heard and What We Did” report at the end of the design engagement process. This report will outline which concerns raised by the community through the online survey and open house held in December 2016 have been able to be addressed through the design engagement process. Thank you to everyone who attended the open house on December 3, 2016 at the George P Nicholson School. The open house provided an opportunity for residents to learn more about the council-approved First Place Townhomes planned in Twin Brooks and apply to be considered for the design engagement committee. All public input received at the open house and online is reflected in the Twin Brooks What We Heard summary and Q&A. This ‘What We Heard’ document will be used to help inform the engagement process used to design the new homes. The City has compiled a summary of responses to inquiries received by the Twin Brooks community in the summer of 2015. On June 2, 2015, the City shared this summary of responses in a letter to the community league executive, along with additional details about the timelines and process. As part of the implementation program, soil tests are conducted on all First Place sites to ensure suitability for development. The Environmental Site Assessment (ESA) and soil testing on the Twin Brooks site was completed in 2015 and confirms the approved building site is suitable for the development of townhomes. The new townhomes will only be developed on the 0.8 ha of land that was previously set aside for the Catholic elementary school building. The remaining 6.57 ha of open space surrounding the housing development will be retained by the City and continue to serve sports, recreation and community uses as identified in the original neighbourhood structure plan. Following an extensive review of the entire school park site in 2008-2011, which included input from both the Community League ​and School Board, adjustments were made to the original proposed location for the First Place townhomes. The final, approved First Place building site accommodates the Community League’s request to relocate the league facility adjacent to the existing school and reconfigure the sports’ fields to meet the current community need for more rectangular soccer fields for small children. When the school park site was first created, sewer capacity along 12th Avenue was provided to meet the needs of two future schools. Only one school was constructed, leaving unused drainage capacity available for the First Place townhome development. City drainage experts have also advised that, currently, there are no dry ponds proposed for any of the First Place building sites, including Twin Brooks, as part of the approved Flood Mitigation Capital program. Some residents have expressed concerns about the impact new housing may have on the property values of adjacent homes. To address these concerns, City Assessment staff created specific study areas for each First Place building sites in 2013. Assessment staff monitor these sites each year to determine if the market value of properties located directly next to First Place sites respond differently than properties located next to undeveloped surplus school sites in other neighbourhoods. To date, assessment staff have found no distinguishable assessment change between properties located next to First Place building sites and those located next to undeveloped surplus school sites in other neighbourhoods. The City will continue to monitor these areas annually. Please visit the First Place FAQ for more information regarding property values.